Very few people can say they can remember using an Apple I computer. Only 200 of the machines were ever made, and each was built by hand. To say that Apple I computers are rare might be a bit of an understatement. However, a museum in Seattle, Washington has just acquired the rarest of the rare. The Living Computers museum, founded by Paul Allen of Microsoft fame, has obtained Steve Jobs’ personal Apple I computer and placed it on display. The computer had previously been owned by Don Hutmacher, an early employee of Apple. Apparently, Don had grabbed the computer back in 1985 after Jobs had left the company for the first time. According to TechCrunch, Hutmacher died in 2016 leaving it to his wife. Rather than allowing the computer to collect dust, she is allowing the museum to display and care for it. Curators were unsure if the item was genuine, but a full inspection revealed that it was certainly an Apple I and a unique one at that. In fact, a tag with the initials “BF” on the inside seems to indicate that Bill Fernandez, Apple’s first employee hired after incorporation, was the one who built it. A circled “2” in the corner of the tag may also mean that it was the second one ever assembled. That is speculative, but considering each computer was hand-built, it would make sense that they would be numbered. 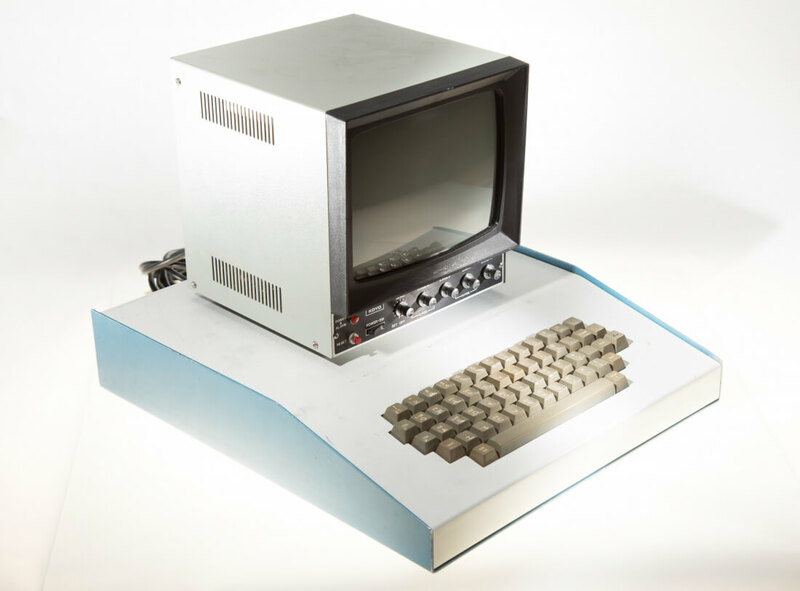 This particular computer was unique from the rest, not just because it was the one that Jobs kept in his office as a demo model, but because it is the only one housed in a chassis. Apple I computers were built on boards with no housing. This one was also different from the rest in that it had been fitted with a custom EPROM. The Apple I did not have a ROM or any other permanent storage solution. Since Steve wanted to use it as a demo, he had the EPROM set up to initialize the computer and boot up with BASIC. It also appears to have extra RAM to help prevent it from crashing during demonstrations. Living Computers is a hands-on museum, but obviously, curators are reluctant to allow patrons to handle such a rare device. Since the gallery is host to two other Apple I computers, technicians decided to modify one of the other units and outfit it with the contents of the EPROM from Jobs’ computer, and allow the public to handle it. If you are ever in Seattle and are into vintage computers, pay Living Computers a visit. They have enormous mainframes from the 1960s and even a couple old Altair 8800s. Best of all, you can play with and touch everything. Well, except for maybe the second Apple I ever built, but at least you can see it. Charles Babbage is known for creating the first... ?